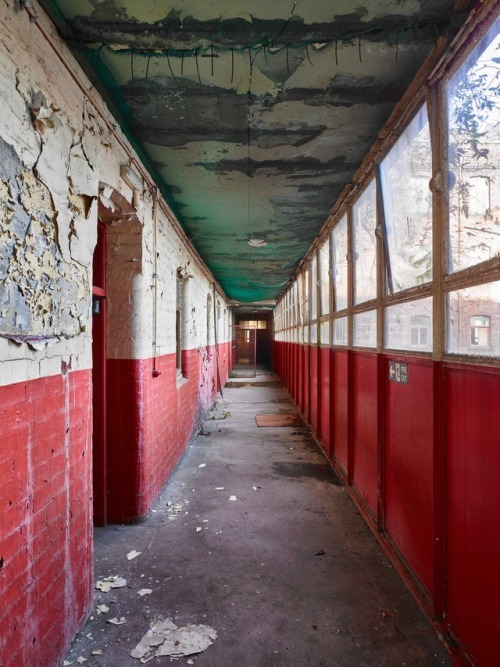 Work has started to convert the former cleansing department building on Bell Street, Glasgow into 52 flats for Glasgow Housing Association. 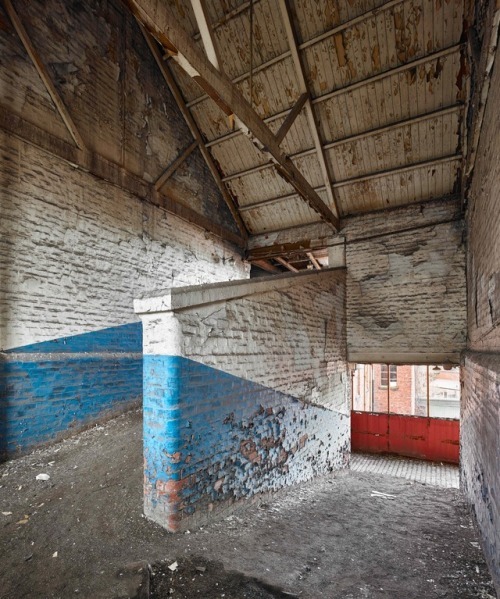 Prior to site start, Collective Architecture commissioned architectural photographer Andrew Lee to document the current state of the building. 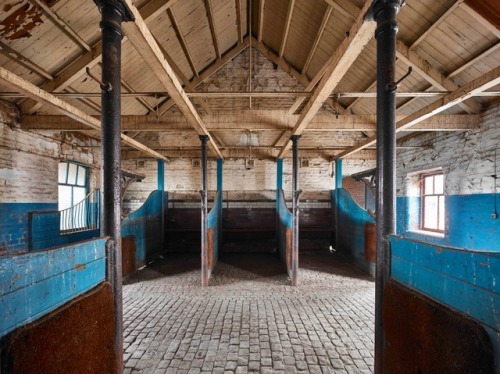 The photographs capture the fascinating details of what was essentially a multi-storey urban stable block, with horse ramps, stable dividers and cobbled walkways. The Cleansing Department building was constructed between 1896 and 1898 to the design of A.W. Wheatley, and was designed to house the City Cleaning Cleansing Department’s horses, carts, harnesses and fodder. 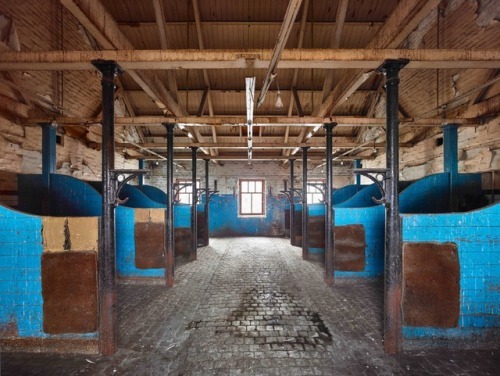 Whilst the horses were last in the building around 35 years ago, the building continued to serve the cleansing department until a few years ago. The building’s listed status was upgraded from ‘C’ to ‘B’ in 2012. 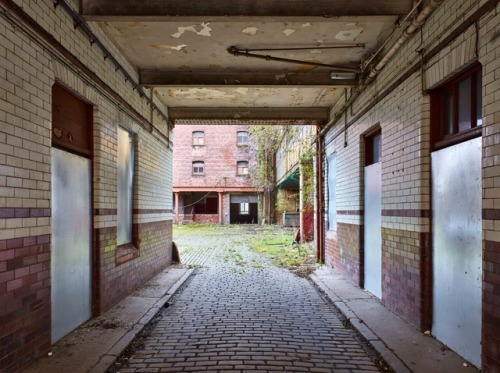 It is a significant part of the streetscape of Bell Street in the Merchant City and demonstrates a rare internal layout with ramped access to upper floor stables formed around a courtyard. The building sits amongst a group of Category A and B listed buildings that run along Bell Street from Wilson Street, on the western edge to the eastern edge of the Conservation Area. Collective Architecture’s design approach is sensitively restore the external shell, with stonework and roof repaired, and windows returned to their original consistent window pattern. 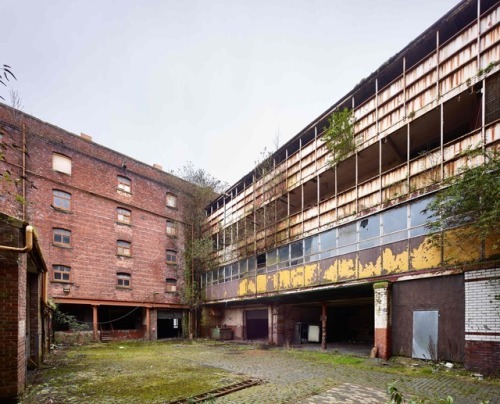 The central courtyard, which historically would have been a vibrant hub around which all the activity of the building would have revolved, is to be retained in this role. The courtyard space is to be reimagined as a semi private urban hard landscaped space for residents’ use. The courtyard acts as a natural sun trap from early morning to midday, and will create a well scaled and unique communal courtyard within the city centre. The proposed materials for the new built elements are warm in tone, with some surface articulation to tie in with the warm red sandstone and brick, and to relate to the mixture of textures of the existing building. Bronze coloured perforated metal cladding is proposed for the lift cladding and for the infill to the 1955 doorway on Watson Street.